The corner of Pandosy and Lawrence is home to Pulp Fiction, a Kelowna original and cult favourite. 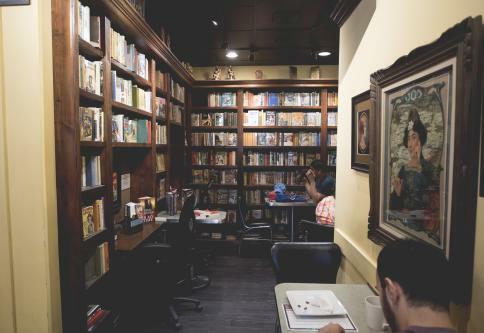 Coffee is just the surface of what they have here; books, pulp fiction art, and antiques are also a large draw to this venue. With a cozy fireplace and floral couch that would make your grandmother proud, Pulp Fiction should definitely be on your list of coffee shops to visit. While the shop poodle (Robbie) is definitely the star of the show, owner Max’s passion and hard work are definitely the reason for Pulp’s success. When Max was 20 years old he knew that he would own a bookstore, and so his collecting began. 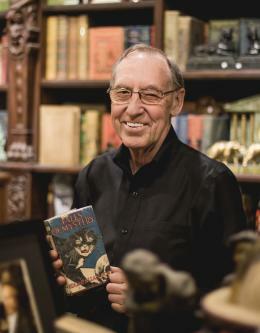 Now at 72 years old, he runs Pulp Fiction and Robbie Rare Books seven days a week. It’s truly an amazing collection, but the best part is how warm, modest and welcoming Max is. If it’s sheer quality that you are looking for, Giobean is your place. When you watch owner Gio make a coffee, it is nothing short of an art form. GioBean has some of the friendliest service in town, if you&apos;re a coffee addict like some of my friends, they will even know you by name. 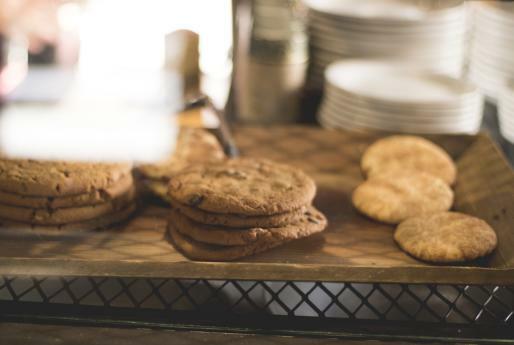 Giobean’s numerous awards and recognitions just reinforce that this shop is as good as it gets. Their patio is always packed with latte drinkers and their puppy sidekicks. Good news for the already-fan, GioBean has opened a second location, GioBean Express on Lanfranco and Richter. 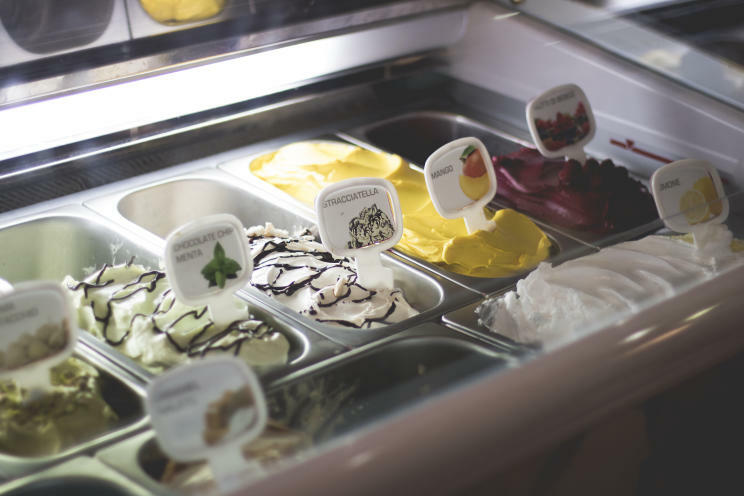 Pro-tip for summer visitors: they have a gelato bar that is a favourite for families. Bean Scene is possibly one of the best known shops in town. 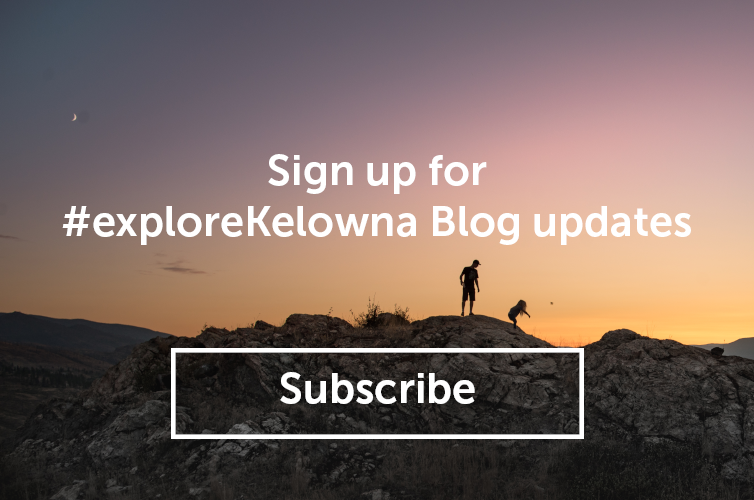 With three locations in Kelowna, this shop is a go-to for an authentic local coffee shop experience. 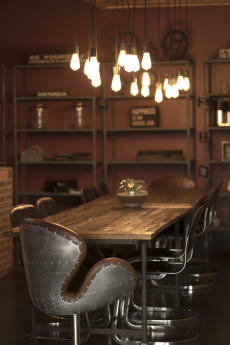 With a re-purposed and rustic vibe, this coffee shop is as authentic as it gets. Think Central Perk meets art student apartment. My order is a almond chai tea latte, but you can’t go wrong with any of their warm treats. 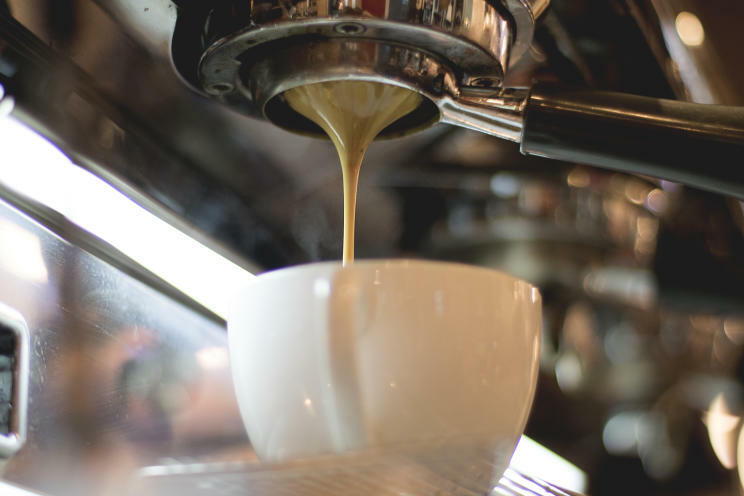 Bean Scene is also a high achiever when it comes to green business innovation - they roast their own coffee, source locally when possible, only use real and pronounceable ingredients. Truly locally owned and operated. 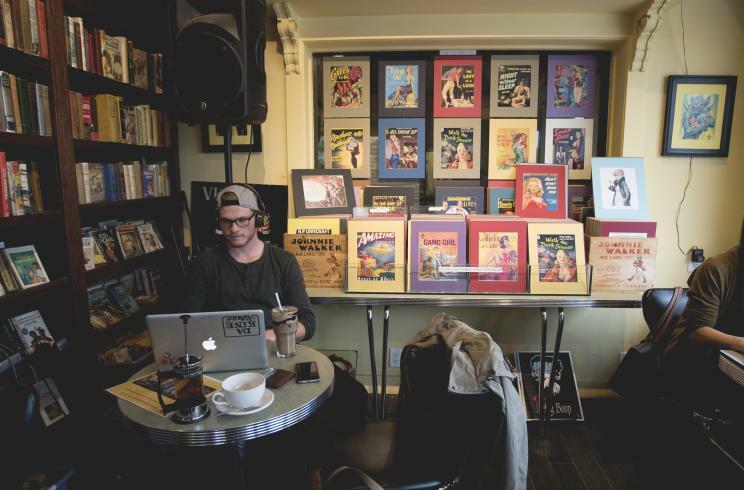 If you’re meeting up with a pal who’s working near Kelowna’s Landmark Buildings, or want to pop in before heading out on a road trip, Third Space Coffee needs to be the venue. 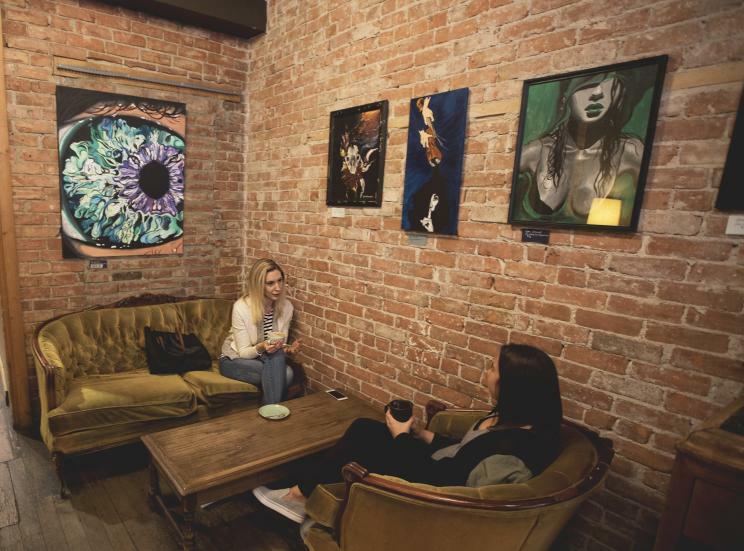 Not only does this space have one of the best vibes of a Kelowna coffee shop, but parking is a breeze. The bearded, khaki clad baristas are welcoming and laid back, giving the venue a hip, West Coast-vibe. Order the traditional cappuccino or opt for a cold brew on the patio, thank us later. 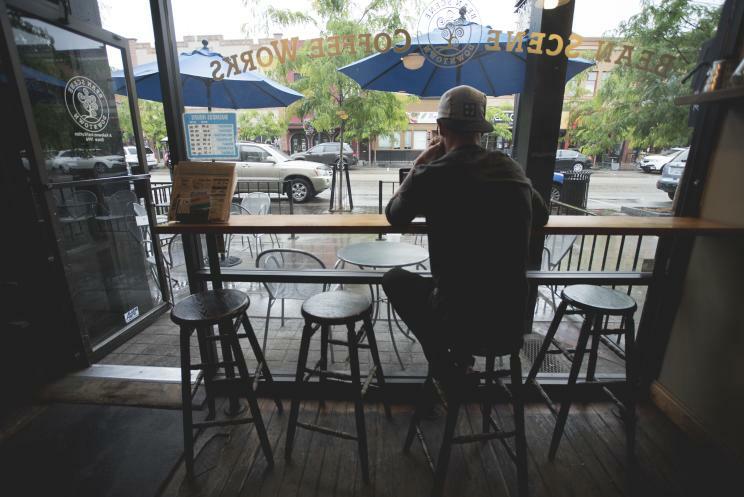 I know this article is suppose to be about coffee, but, the fact that Third Space serves local beer and cider (and has a happy hour) is definitely noteworthy. 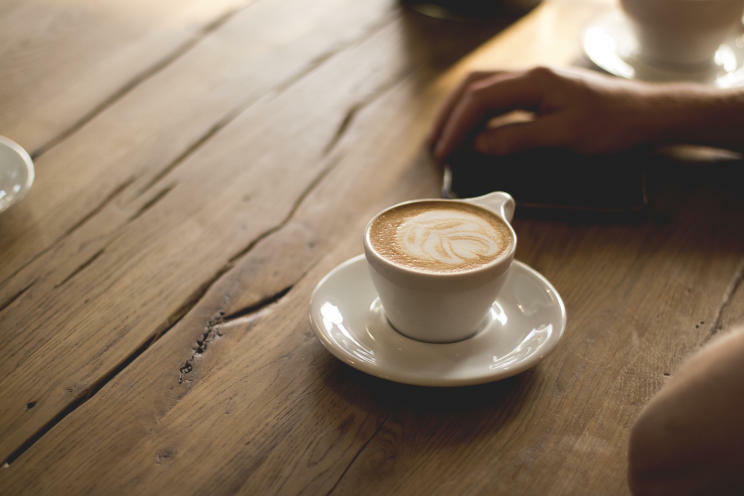 You can even feel good about spending all of your coffee budget (and time) here because Third Space is a registered non-profit foundation focused on professional and personal development. 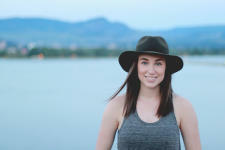 Meghan Reading is a UBCO management graduate and a content creator specializing in adventure travel photography. She views the world through the lens of her camera and can often be found daydreaming about her next big international adventure. She loves the outdoors and is excited to share this with all those around her.